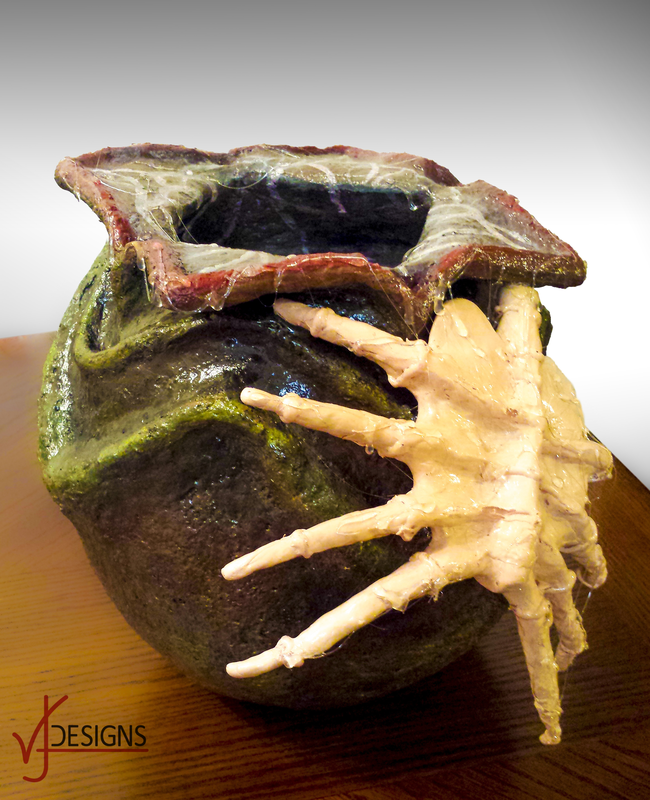 Made this out of paper mache and paper mache “clay.” I created this bank for my Fiance for his Christmas gift of 2014. His favorite movie series of all time is Aliens. My Fiance has a Bachelor of Fine Arts with an emphasis in Sculpture so I was very nervous when I gave this to him. A Graphic Designer creating a sculpture of some sort for a Fine Artist who focused on sculpture? Yeah, nerve wrecking, but he loved it! I created and DIY for this piece (egg only) which you can find here!